Thanksgiving is over so Christmas has officially exploded everywhere! And if you know me, you know I LOVE it! Time to blast those Christmas tunes, shop, drink hot chocolate and of course… bake! I saw these cute trees on Pinterest and thought they would be perfect and a lot of fun for my 4 year old. Super easy, super delicious. Done and done! 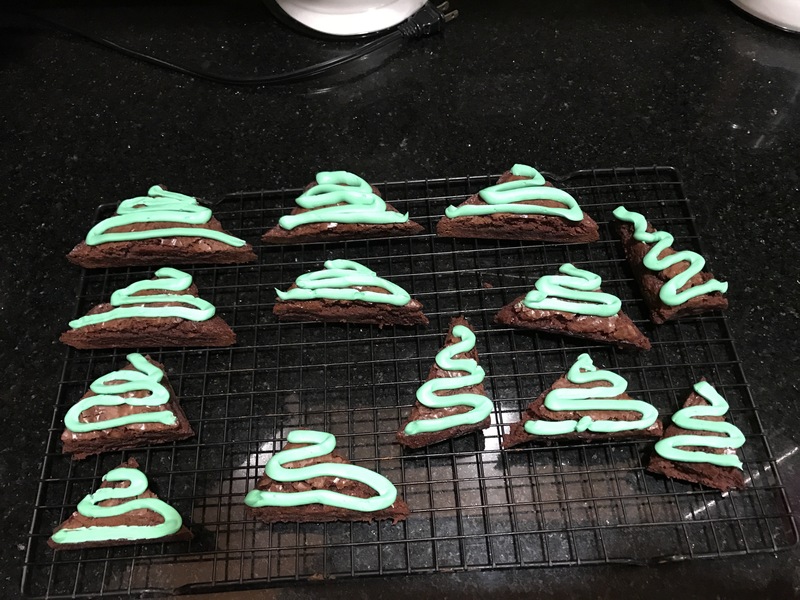 I used a box brownie mix but made my own green frosting. 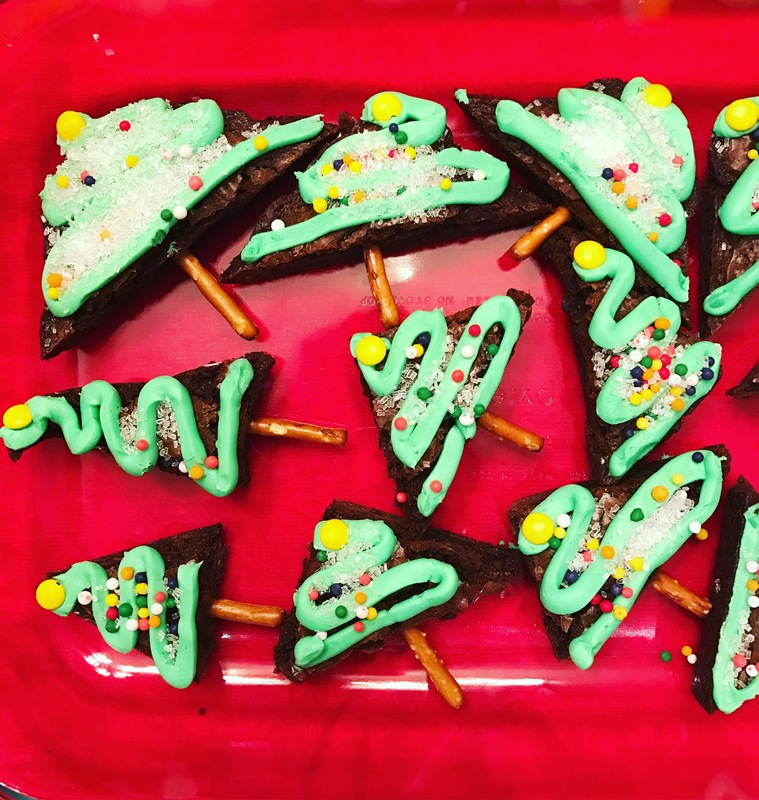 And then the stars are mini M&M’s, ornaments are jumbo Nonpareils, we also used sparkling sugar and then the trunks are pretzel sticks! So, let’s get creative and start baking! Make the brownies using whatever recipe you want. I just used Betty Crocker Fudge Brownies. Pour in prepared pan. Bake and allow to cool completely. Take out of pan and remove foil. 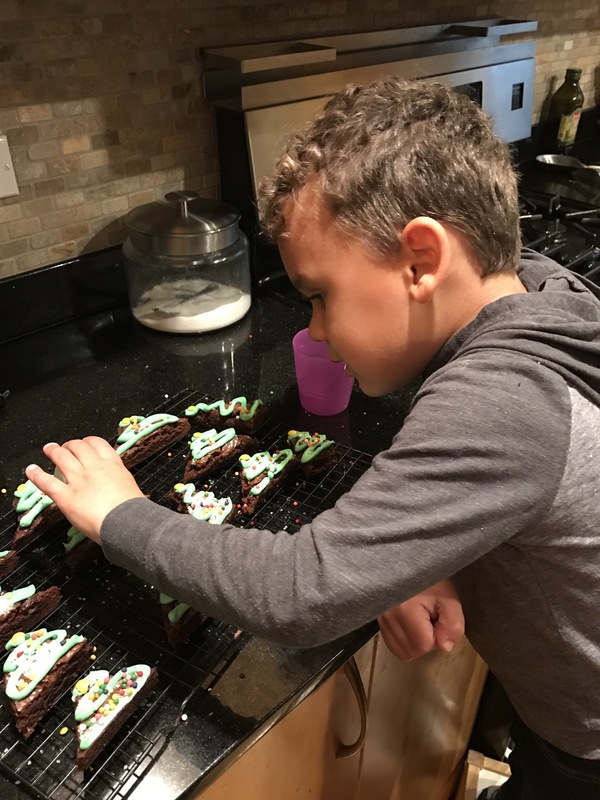 Place brownies on a cutting board and cut into triangles. I put my frosting is a Ziplock bag and piped it on. And then decorate! For the tree trunks I used half a pretzel stick and just sticked it in. Easy peasy. Store covered in a cool, dry place. As always, enjoy! Happy Christmas season!